After giving away ASCOMP Secure Eraser, the developer ASCOMP Software is giving away ASCOMP PDF Conversa for Windows operating system. ASCOMP PDF Conversa is a comprehensive, powerful and easy to use PDF to Word converting tool which can be operated in high-quality conversions with single button to convert PDF file to Word, or convert Word (Doc or DocX) to PDF. In addition, the software also allows to add digital signature to PDF file, setting PDF picture quality (High, Normal, Low), and feature unusual compress text setting for lossless compression to PDF file. Convert PDF To Word: Convert PDF files into Word files (.DOC format) without changing the graphics, tables, special fonts, and other attributes. Convert Word To PDF: Convert Word files (.DOC / .DOCX formats) into PDF files by compressing texts, maintaining image quality, and keeping special fonts intact. Convert password-protected PDF documents to Word formats for easily edit. Protect Word files with passwords. Edit and share documents in any format. ASCOMP PDF Conversa usually costs $20 for purchase. 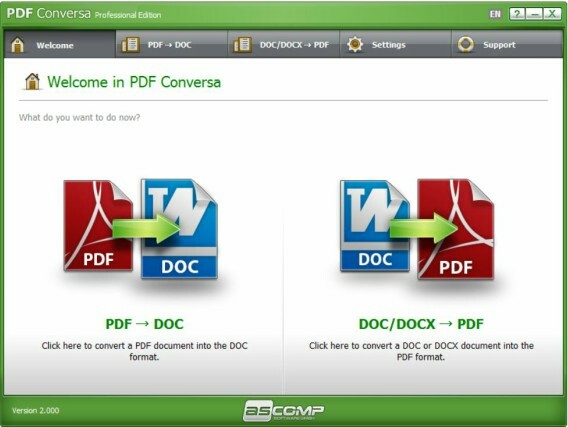 In partnership with CHIP, the company ASCOMP Software is giving away free copies of the ASCOMP PDF Conversa to the interested users. This time-limited giveaway promotion will end anytime, so hurry up! 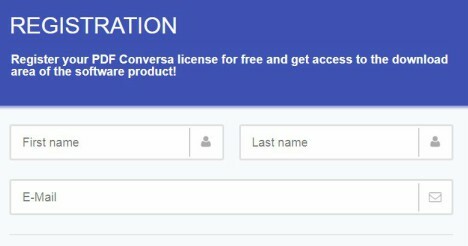 An email (from ASCOMP Software) which contains a free registration license serial key and download link of the ASCOMP PDF Conversa will be delivered to registered email inbox. ASCOMP PDF Conversa is fully compatible with both 32-bit and 64-bit of Microsoft Windows 10, 8, Windows 7, XP, and Windows Vista operating systems.